A Metropolitan Planning Organization (MPO) is, by federal law, designated by the governor of each state for every urban area with at least 50,000 residents. MPOs develop solutons to regional transportation problems and address other important issues such as land use, air quality, energy, economic development, commerce, and quality of life. Each MPO develops a long-range regional transportation plan to guide transportation decision making and activities. The MPO also develops a short-range program of projects, the Transportation Improvement Program (TIP), to be implemented with federal transportation funds. For each project, the MPO's responsibility is to engage many stakeholders, including the general public, in the planning process. By creating a vision for the region in the long-range plan and by identifying projects and investments that help achieve that vision, the MPO ensures that scarce federal transportation funds are wisely invested. 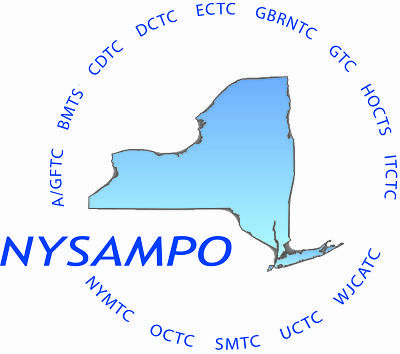 CDTC is the MPO for the Capital Region. View CDTC's Guide to Metropolitan Transportation Planning in the Capital District for more information. Want to learn more about MPOs and the federal transportation planning process?